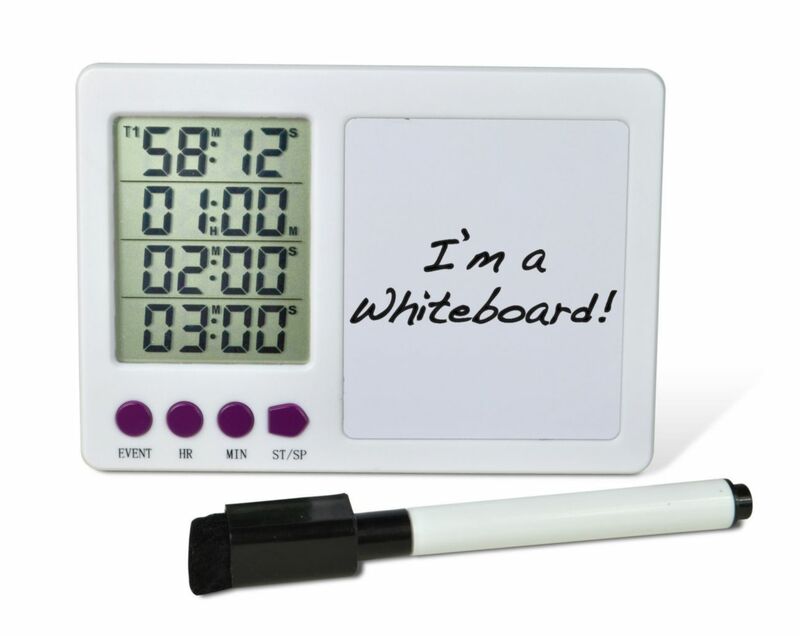 This four-channel timer has a built-in white board and dry erase marker with eraser tip that helps keep track of time and other critical information. Each channel has an audible alarm, a switchable timing capacity of 23 hours: 59 minutes or 59 minutes, and last time set memory. 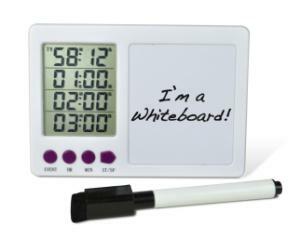 It programs in hours/minutes and displays in hours/minutes/seconds. Up or down counting is possible, and elapsed time after countdown is displayed. A key press confirmation feature gives an audible indication of data entry. Lay flat on a bench, use the flip-open stand for a vertical view, or use the magnetic back for metal surface attachment. Requires two AAA batteries (included). 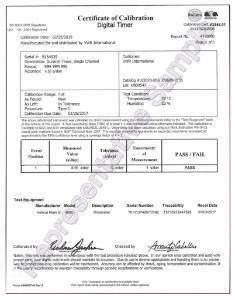 Certifications: CE marked, RoHS compliant. 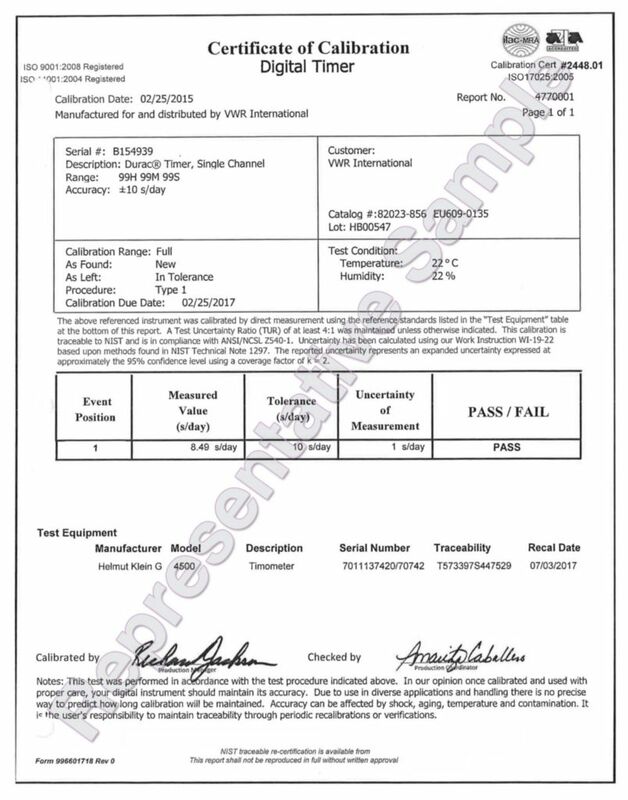 Ordering information: Features a Certificate of Calibration and individual serial number, these electronic timers are tested and calibrated in H-B’s exclusive triple accredited/registered ISO/IEC 17025:2005, A2LA accredited laboratory (Cert #2448.01), against equipment whose calibration is traceable to NIST.